Cloud technology is not something businesses are unfamiliar with, but it is something that increasingly needs to be kept up with due to on-going technological shifts. Whilst the technology to utilise the cloud has been available for some time, companies are now taking the opportunity to understand how it can aid them in their specific discipline. Each industry, whether it be retail, manufacturing or utilities, have different requirements for how the cloud can benefit its respective businesses. Where retail companies may need a detailed solution to help cope with vast amounts of purchase orders and invoices, utility companies may require a product to help them manage large amounts of data, such as meter readings and customer bills. However, one thing is universal; for those who have adopted the cloud earlier than others, it has revolutionised how they handle their business communications. Processes such as manual, paper-based invoicing have since become obsolete as cloud-based e-invoicing presents a more cost effective and efficient solution. Existing legacy systems, some that are still widespread in many companies despite technological developments, are no longer required, with new technologies replacing them, altogether. The cloud is allowing businesses freedom to expand and adapt how they handle all aspects of their communications. However, whilst some businesses have utilised these cloud-based technologies, other companies have still shown reluctance in embracing the technology. Different industries and sectors have adopted the cloud at varying speeds, with some still not convinced of the benefits. This apprehension to inherit new systems stems from historical trust in new technologies and stepping into the unknown, following previous issues and reluctance to adopt new technologies in the past. In particular, many businesses still fear the digital age, removal of paper-based solutions and mobile banking. When more organisations begin to adopt the cloud, like we are now beginning to witness, those who are unsure can see the profound benefits it can provide to their company. Understanding the capabilities of cloud-based software and maximising its offering means businesses are more empowered to reach their full potential. If businesses don’t effectively use the new technology or, worse so, fail to adopt the cloud entirely, they will find themselves left behind their counterparts in the industry, potentially negatively influencing their position in the market. So, what can businesses do to ensure they don’t get left behind their competitors? It is vital to move to these cloud-based systems to improve processes, rather than attempting to reconfigure their existing legacy systems and applications. Instead, implementing a pre-configured ERP solution through the cloud will result in a much more efficient and effective solution, with the implementation taking place over the course of months, whereas re-configuring an existing legacy system could take years, and result in unnecessary inefficiencies. Not only that, users will also be able to take advantage of new technologies through the solution, such as the use of smart phone applications. Yet, businesses need to ensure they choose the right solution for their specific needs by working with a partner-focused organisation. The ERP industry, itself, is going through a change, with many systems within the sector being consolidated, due partly to Microsoft disrupting the market. This was not something that happened overnight. 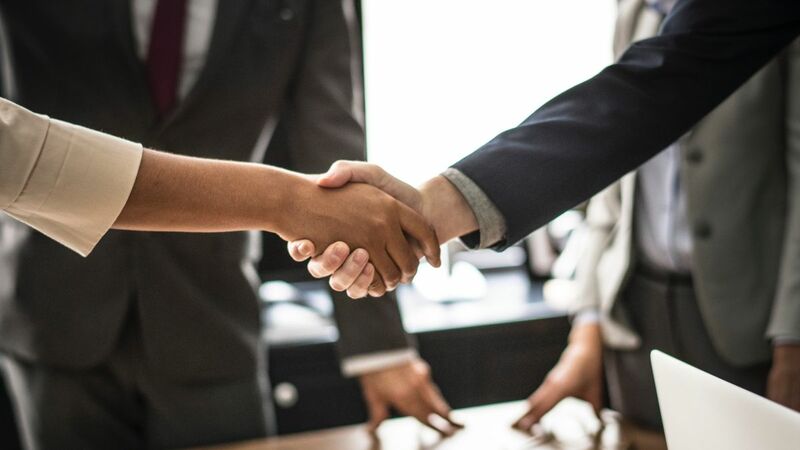 Organisations with a partnership-focused approach demonstrates a commitment to delivering solutions that meet the ever-changing needs of the market. Collaboration between organisations allows for the opportunity to share specialist knowledge and solve specific business challenges, something that is vital in a fast-paced market. Not only this, but collaboration is crucial in ensuring businesses can cope with the growing market. Every industry needs to be catered for, and this cannot be done without businesses collaborating to help cover all these verticals. For independent software vendors (ISV) however, this need for collaboration is all the more crucial, as it is looking increasingly likely that more ISV’s will be looking to partner in the coming years. With consultancy companies consolidating more and more, these ISV partners will need to ensure they align with each other as they aim to offer customers a more wholesome, complete solution. The journey to a cloud-based working environment is one that most businesses share, yet there are various paths to reach the destination. However, taking a partnership-based approach and trusting in new, worthwhile technologies is a good way to ensure businesses stay ahead of future tech shifts that are certain to occur.